The historic Woodmansee Building was built in 1899 as the first home to long-time local department store A.W. Lucas. Woodmansee’s has occupied the building since the mid-1920s, when Lucas relocated into the adjacent building. Even after all these decades, the store is still owned by the Woodmansee family. 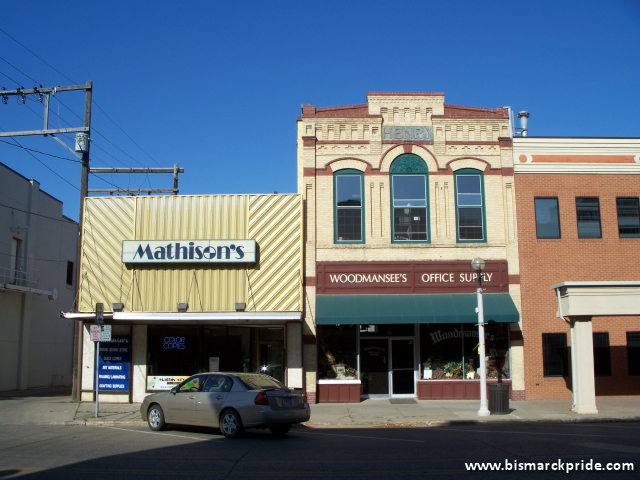 Due to the August 1898 Fire, it is one of the oldest remaining buildings in Bismarck.